How are Pacemaker Leads Implanted? The heart’s natural pacemaker (the SA node) is located in the top right chamber of the heart, the right atrium. The SA node sends a signal to the upper right (right atrium) and left chambers (left atrium) and lower chambers (the right and left ventricles) via the atrioventricular (AV) node. Often, the patient has a slow heart rate because the electrical connection between the top (the signal from the SA node) and bottom (the ventricles) of the heart (right ventricle) is diseased and a pacemaker lead can be placed in this chamber. 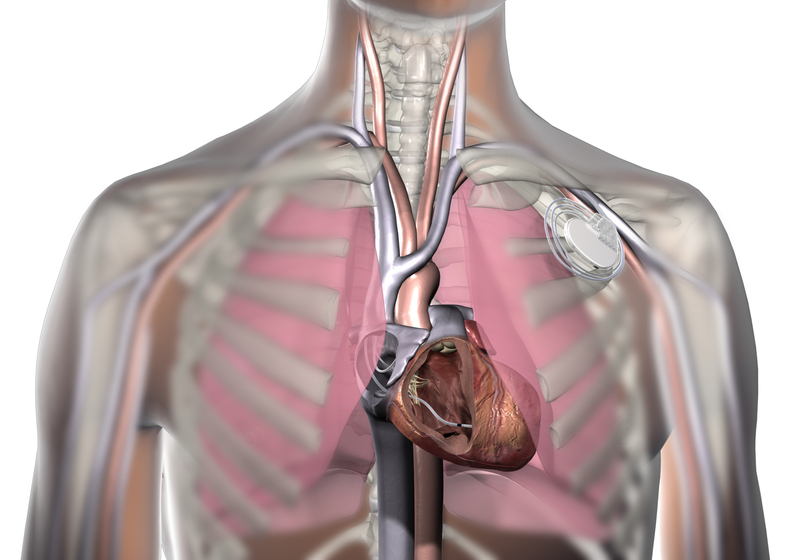 The most common type of pacemaker involves placing a lead in the right atrium and right ventricle. The image above (taken from MedtronicConnect.com) displays a pacing lead in the right atrium and right ventricle. It also shows a typical implant scenario where the device is positioned under the left clavicle below the skin but above the chest muscle. The leads are then placed through the subclavian vein where they are threaded to position into the heart. The following video (taken from MedtronicConnect.com) shows the sequence of events during lead implantation. You can see the site of the incision is under the left collarbone and insertion of the needle, guide wire, and introducer (hollow tube used to carry lead into the vein). The pacing lead is then advanced into the right ventricle where the screw-in mechanism is activated – views of both the helix extending out and the implant tool operation are shown.